Earlier, Firefox was the reigning champion of the web. With the unrelenting and selfless efforts of many developers and volunteers from around the world, Firefox was on track to become the best and most popular browser on the Internet. After all, the Internet needed something better than Internet Explorer, and Firefox was exactly that. In fact, despite Internet Explorer having a major market share, Firefox's popularity was soaring every day. What's more, if you look up the definition of Internet Explorer on Urban Dictionary, you'll find this hilarious result: "A simple Windows XP tool which allows the user to browse to Mozilla.com and download Firefox, a web browser." Undoubtedly, Firefox was all set to become the champion of the web. However, soon, things were about to change. Enter 2008. Google releases its brand new browser. And boy, it takes the web by storm. Based on open-source technologies, this new software became ubiquitously known for its amazing speed. Yes, it was faster, more stable, and more feature-laden that Firefox. Soon, it took over Firefox to become the most popular browser for the Internet. According to Wikimedia statistics, 44.06% of its visitors are using Chrome, followed by 22.08% Internet Explorer users, and 18.17% Firefox users. Integrate: One of the great things Firefox did was that it came up with an extension that completely integrated Facebook into the browser. Not only could you access your Facebook notifications from the toolbar, you could also chat with your friends no matter which site you're on thanks to the Messenger sidebar. 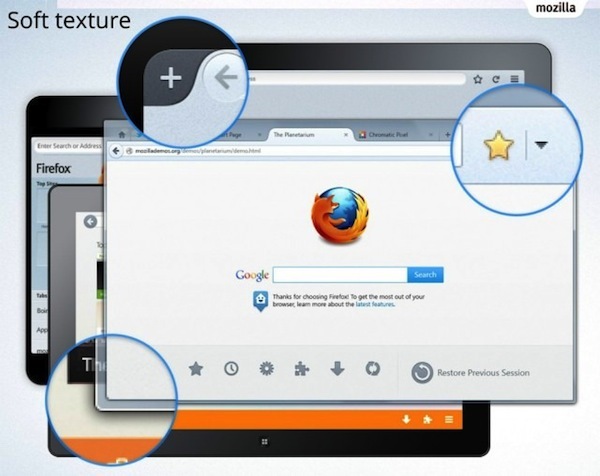 Firefox can step things up a notch by integrating other popular services like Gmail and Google Plus into the browser. This is something that Chrome doesn't provide (yet) and could help the open-source giant draw in many users. Not look like Chrome. Please don't: Tech sites are inundated with the news of the latest Australis update that will present a newly designed Firefox to its audience. Though looks good, in fact better than the previous version, this update does make it look like.. well.. uhmm.. Chrome. Now, I understand that Firefox is trying to keep up with the competition here, but, honestly, the designers could do much better than that. That said, I don't mean to imply that having a design that's inspired by Chrome is a bad thing. In fact, it's good that they took some of the major elements from Chrome. However, in that process, Firefox seems to be losing its real identity. After the update, it would be hard to distinguish between the two sparring browsers. Aim for speed: Chrome is still speedier than Firefox. I'm not talking about speed as in the speed with which the browser loads pages. I'm talking about the speed with which you can do any task in the browser. This is my personal experience that in Chrome it just takes a lot less time to search for something than in Firefox. Firefox has two different elements: one is the address bar and one is the search bar (also known as the awesome bar). And, it is due to this that people find it slower to search in Firefox than that in Chrome. Maybe Firefox should think of combining the address bar and the search bar. If reports are to be believed, the Australis update does just that. Let's hope that they go with it. Focus on Apps: “Maybe we shouldn’t even call it a browser anymore,” said Mozilla’s VP of Firefox engineering Jonathan Nightingale. And he's right. It's not a browser, it's almost an operating system. Most of the tasks that are used to be done by operating systems before are now done by browsers. In fact, Google created an OS based on a browser that’s simply called Chrome OS. Firefox, I think, should realize this as early as possible. If they want to succeed in the browser race, they'll have to come up with applications that are better than what we have on Chrome. In fact, they should aim for applications that are cross-platform, easily installable, and are perfectly integrated with the desktop. Apart from a chosen few applications, even Chrome's app space isn't that luring. 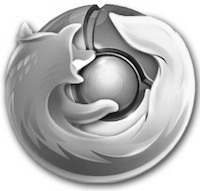 Firefox could tap that opportunity and evolve into something that is more than just a browser.